Sweden is becoming home away from home for Nigeria's Super Falcons. Central defender, Osinachi Ohale has joined Vittsjo GIK. Rivers Angels and Super Falcons central defender, Osinachi Ohale has officially signed a one-year contract with Swedish outfit, Vittsjo GIK. Ohale, who has spent two seasons with the reigning Nigeria Women Football league (NWFL) Champions, said she is happy with the move. “I am happy that I’ve gotten another club outside Nigeria and will be joining them for a short while,” Ohale told Rivers Angels media. “The season has already kicked off and I’ve missed two games but I hope to be there for the next game,” she added. She joins Super Falcons forward, Ngozi Okobi who made an earlier switch to the Swedish side. “Sweden is going to be like my home because there are lots of Nigerian players there. 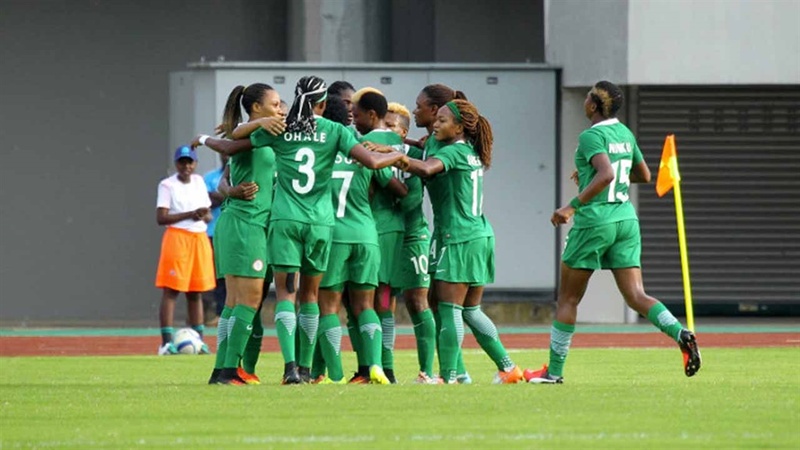 “I’m happy to have a Nigerian teammate and a sister which is Ngozi Okobi, so it won’t be a new team for me because I have someone I can easily relate with,” she said. Ohale joined the ‘Jewel of Rivers’ in 2015 from Houston Dash FC of the United States and has gone on to win 2 league titles and a Federation Cup title with the Port Harcourt side. Vittsjo GIK finished seventh in the Swedish league last season and hopes for a better finish this season.